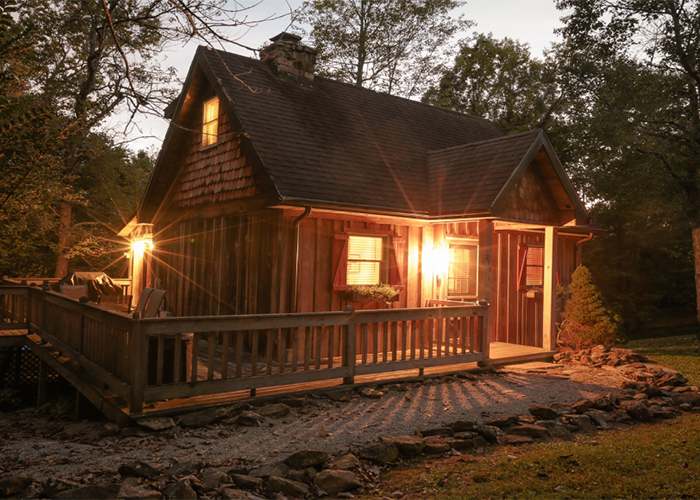 This unique rental cottage is located in a gated community in the woods; it sleeps 4 with one bedroom and a queen size sleeper/sofa in the living room. It also has 1½ baths plus a fully equipped kitchen. Luxurious linens and towels provided; other amenities are a Fireplace, decks with grill and hot tub, wireless internet, unlimited long distance phone and washer/dryer. Swimming pool and tennis courts are also available.